Farnam recently released two supplements designed specifically for horses in their golden years:Farnam® Senior Health & Wellness and Farnam® Senior Active Performance ASU. Both were formulated by Ph.D. equine nutritionists. To coincide with the release of these exciting new supplements, a trial launch coupon can be found in the 3.75 lb. size that is good for $10 off the next purchase of a 7.5 lb. bucket. 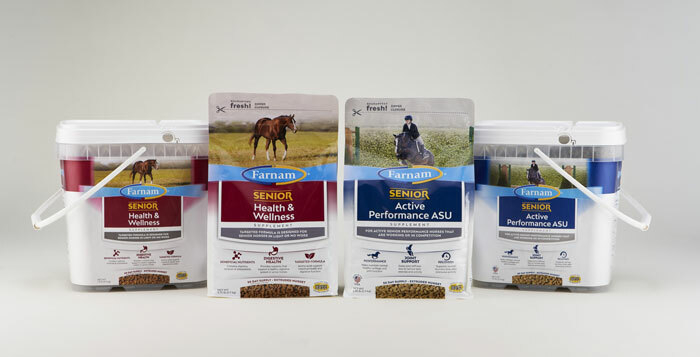 Farnam is also offering an instant $5 off coupon for any size of either senior supplement. Go to www.farnam.com to print your coupon and learn more about the products.